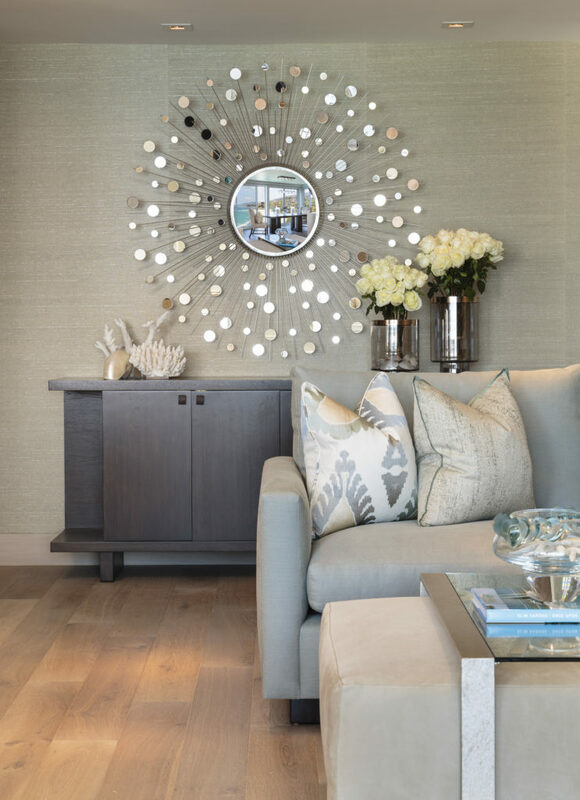 The vision for this home was to have it effortlessly blend contemporary elements with its natural surroundings; we wanted to bring the beach indoors but in a fresh and unique way. 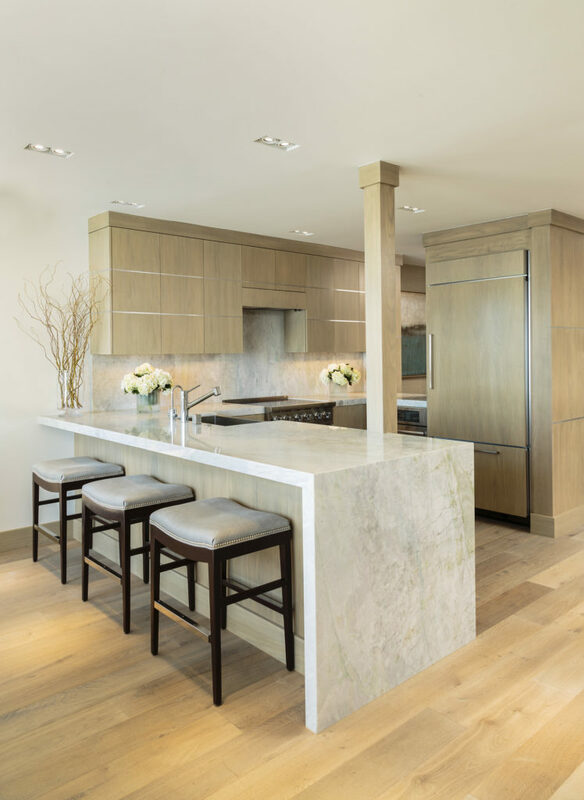 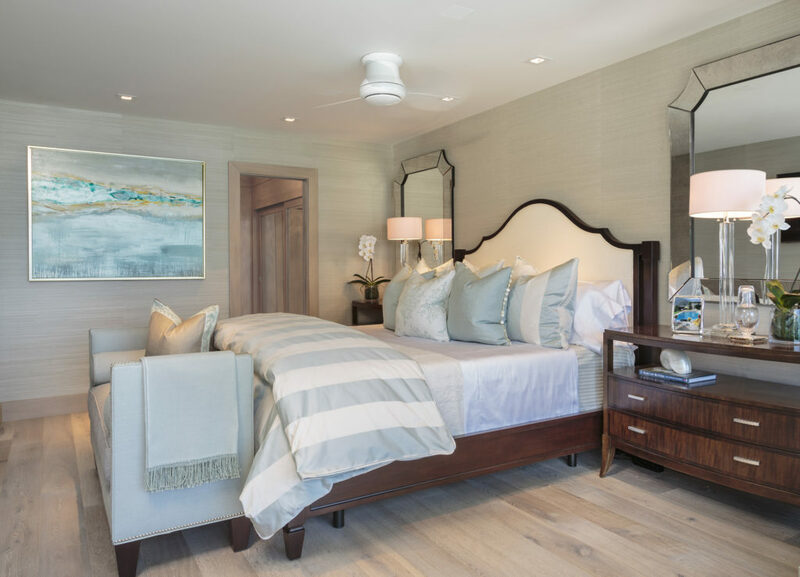 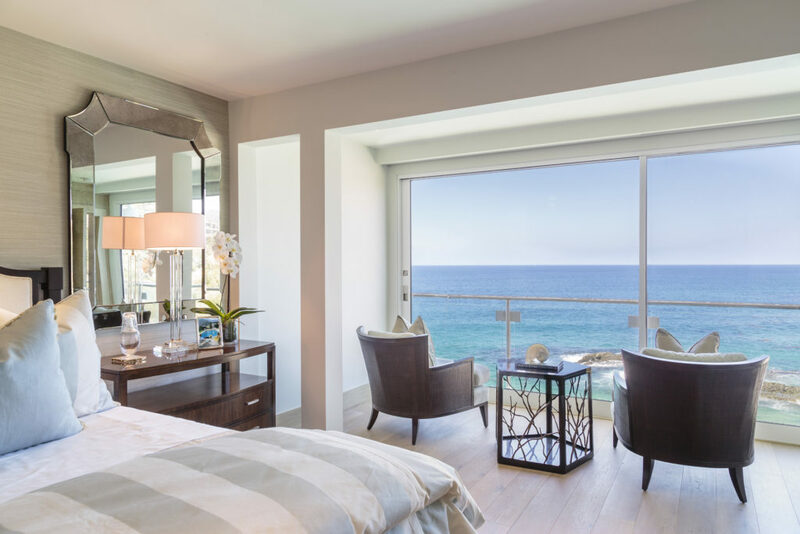 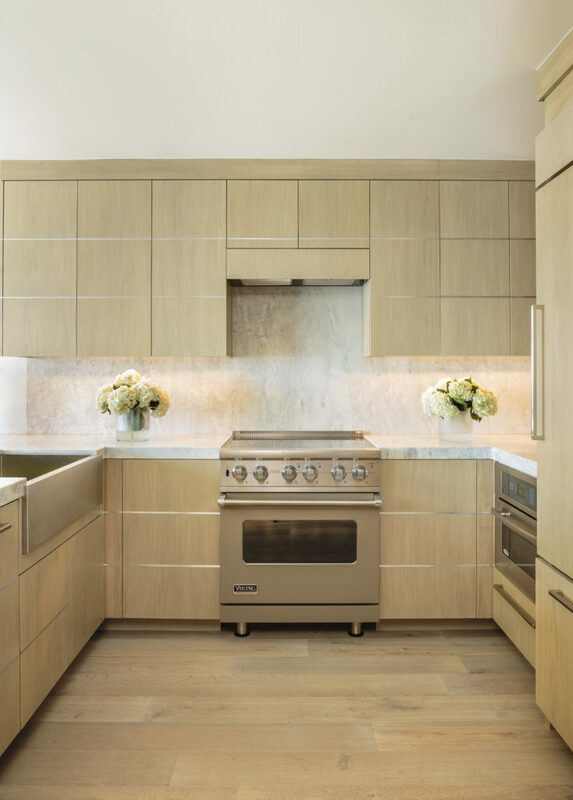 To accomplish this we combined sun-bleached hardwood floors, perfect for hiding traces from sandy feet, with panels of floor-to-ceiling windows making it hard to tell where the interiors end and the shoreline begins. 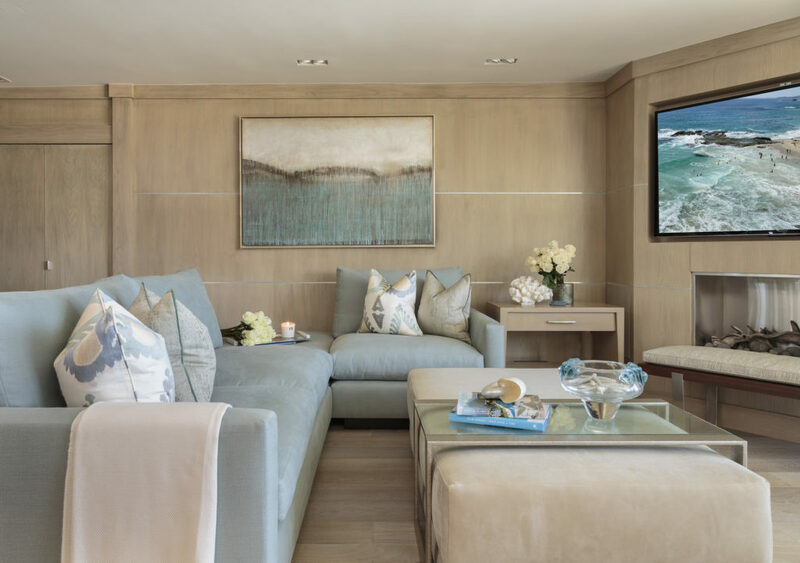 A neutral color palette of soft linens and seagrass wallpaper extends throughout the home but is broken-up by splashes of aqua blues and celadon greens creating a calming spa-like atmosphere. 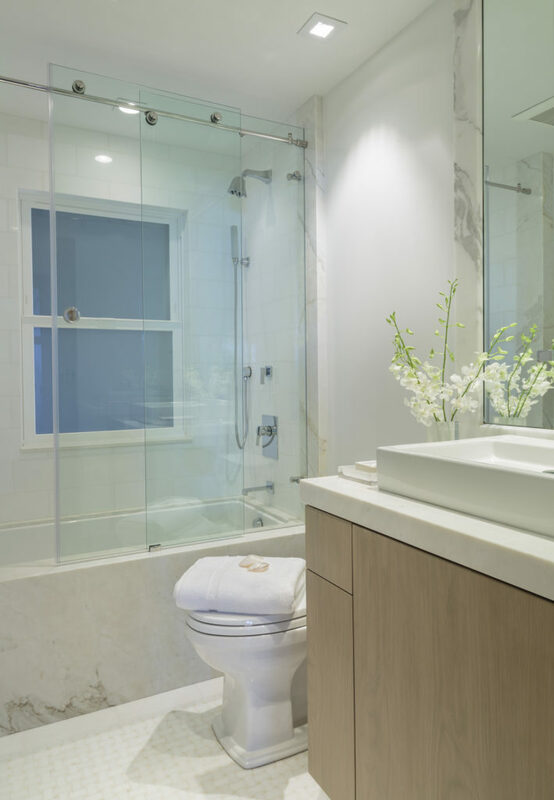 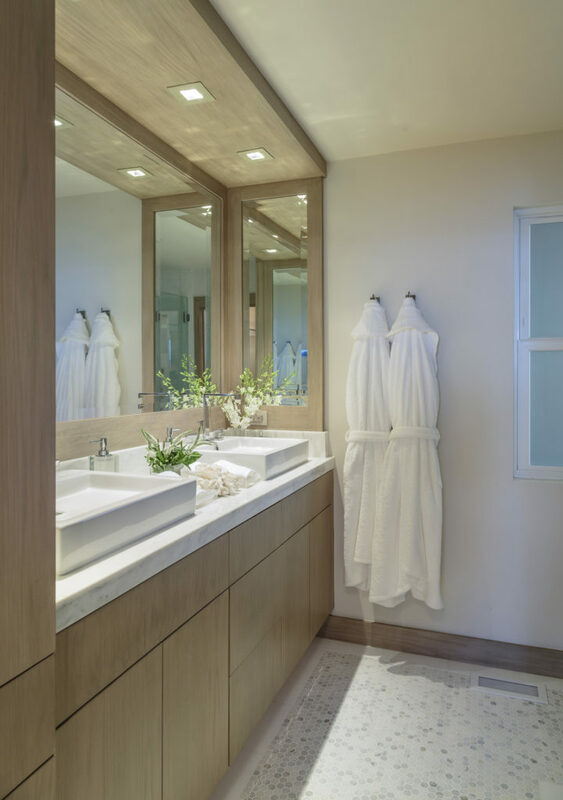 This serene color palette paired with a dose of modern wood pieces, statement mirrors and enviable lighting fixtures provides the space with an understated yet elegant allure fitting for the design-loving homeowners to relax in and truly unwind.